Can “Negative” Storytelling Help Free Your Mind? In this article, I’ll talk about a certain kind of storytelling and what it can do for us. Specifically, I want to highlight the possibilities of “negative” storytelling. Here I am not using negative in the sense of pessimistic, fatalistic, or gloomy, but rather as a way to describe stories which do something drastically different than most stories. Most stories, generally speaking, support a certain premise about the way the world is. They offer us wisdom in the form of a premise around which the story is based. Recently I watched the 2002 Spike Jonze / Charlie Kaufman movie Adaptation; the premise is arguably stated by one of the main characters near the end of the film: “You are what you love, not what loves you.” The plot and themes of the film bring this premise to life, arguing that its thesis is both valuable and true. We may agree or disagree with the argument, but either way, the film has a moral: it tries to show you something that is true about the world. Negative stories do not act this way. Instead of arguing in support of a premise, negative stories undermine the very idea that a statement about reality can be true in the first place. Their plots, characters, and themes rather pose a question to the audience: are things a certain way? Does existence have an “essence”? They use the same forms as positive storytelling to do something drastically different: negative stories question the idea that we can grasp the nature of reality. Horror stories can be seen as “negative”: supernatural terrors strip the main characters of their most cherished expectations about reality — of their beliefs about the way things are and must be. These kinds of stories are “negative” in multiple senses of the word. But other narratives function similarly without appealing to malevolent forces, like the recent movies of Terrence Malick (such as To the Wonder, 2012, Knight of Cups, 2015, and Song to Song, 2017), a filmmaker who seems intent to explore the ways our viewpoints shape our world, without providing a clue to which viewpoint is “true” or “right.” He shows us a vast network of causes and effects without judgment. For a deeper dive into the films of Terrence Malick (through a Buddhist lens), I recommend Francisca Cho’s excellent book Seeing like the Buddha: Enlightenment Through Film (2017). Some stories go even further down the negative path by taking the premise: “There are no true premises,” as their narrative premise. This seems problematic at first; we can’t take “there are no true premises” as a “true” premise without slipping into incoherence. To avoid contradiction, in this case, “there are no true premises” cannot be a true premise. But how else are we to take it? I will try to illuminate a possibility through analogy: imagine that you are in a hall of mirrors at a carnival, where a single image is reflected in every mirror — the image of a person. Your first instinct is to search for the real person who is reflected across multiple mirrors. But as you approach the reflection you realize something — the image is actually drawn on each mirror. You instantly realize that there is no “real person” who is being reflected. Rather, each mirror is merely covered by the same drawing. In the same way, if a story adequately reveals that “there are no true premises,” this revelation eliminates the very possibility that a true premise can exist — just as there is no possibility that a drawing is actually a reflection of someone. In other words, the negative story intends to show that there is no true premise to be found anywhere. They simply do not exist. 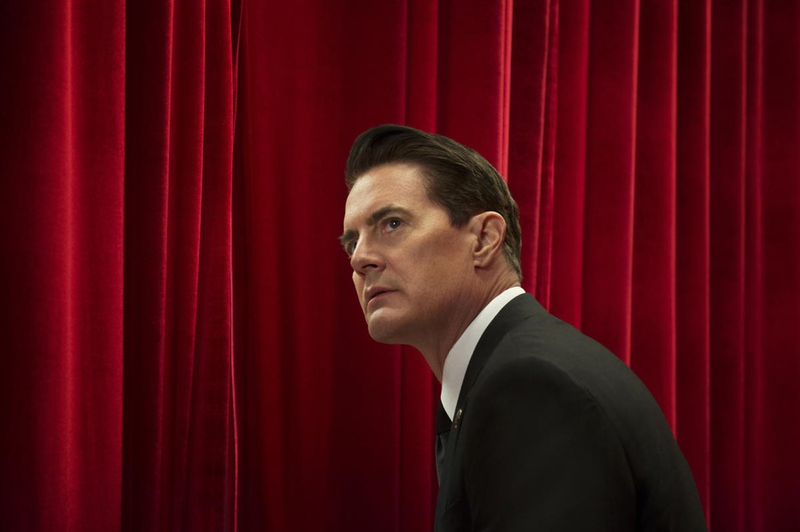 As an example we might consider David Lynch’s third season of Twin Peaks (2017), which leaves the audience to question what happened in the puzzling finale (mild spoilers here): do our main characters find themselves (if they are themselves) in a dream, an alternate dimension, another time, or something more mundane? There is no way to know, as Lynch purposefully undermines the audience’s anticipation of any kind of answer. His premise might be something like: “The American dream is indistinguishable from an actual dream,” which in its ambiguity is quite similar to our “there are no true premises” premise. Another example is the disturbing 2000 Mary Harron film American Psycho, which remains existentially inconclusive throughout, undercutting our attempts to understand “what is really going on.” Same with the first half of the Wachowskis’ The Matrix (1998), and arguably Stanley Kubrick’s 2001: A Space Odyssey (1968), to name a few. By blurring the line between reality and fantasy, the negative story reveals an underlying premise within the positive story which we never noticed before: the positive story assumes that the universe really is a certain way and that we can figure it out. The negative story does not make this assumption; rather it suggests that the nature of things is “ontologically ambiguous” (to use the words of Chinese religion and philosophy scholar Brook Ziporyn, from Emptiness and Omnipresence: An Essential Introduction to Tiantai Buddhism, 2016), or that “the very concept of an essence is itself incoherent” (to quote author Jay Garfield from Empty Words: Buddhist Philosophy and Cross-Cultural Interpretation, 2001). At the very least these kinds of stories pose difficult questions about the nature of things, like: is the universe really a particular way? Many stories say emphatically, “Yes! The world is this way…” But filmmakers like the Coen brothers, and authors like Franz Kafka, James Joyce, and Elif Şafak (among many others) make us think again. Through these negative stories, we may even realize that we’ve never considered this pressing ontological question —are things a particular way? — in the first place. Being an agnostic means all things are possible, even God, even the Holy Trinity. This world is so strange that anything may happen, or may not happen. Beyond good and bad, beyond constrictive dogmas and immutable theories, things are always left undefined and open; the spark of inspiration flows through us as much as it does through everything else. We discover our story unfolding spontaneously, reinterpreted anew in each moment. Consequentially, we may find ourselves becoming kinder, happier, and more accepting people. But that’s a matter for a different article. Isn’t it? Here’s an interview with Borges featuring the quote above.